Routine dental cleanings are vital to good oral hygiene and prevention of disease. They are also an opportunity to detect problems at their earliest stages. Early detection saves unnecessary discomfort, time, and money. While two dental cleanings per year is common, we may recommend a cleaning schedule that is more or less frequent based on your oral hygiene needs. This may change with age and the condition of your teeth and gums. During your dental cleaning, you will receive a medical history review; screening for oral and head/neck cancers; possible digital photos and x-rays, as determined by the dentist or dental hygienist; assessment of gingival health and a professional cleaning of your teeth. Reviewing your medical history and taking a blood pressure reading improves your safety by screening for diseases that can affect your general and dental health. This information can potentially impact your dental treatment. Your dental hygienist will check the lymph nodes of your head, jaw and neck for pain, tenderness and flexibility. Then the hygienist will check for growths and sores inside your mouth. Using an intraoral camera with sophisticated magnification and lighting, the hygienist can capture images of any areas of concern. 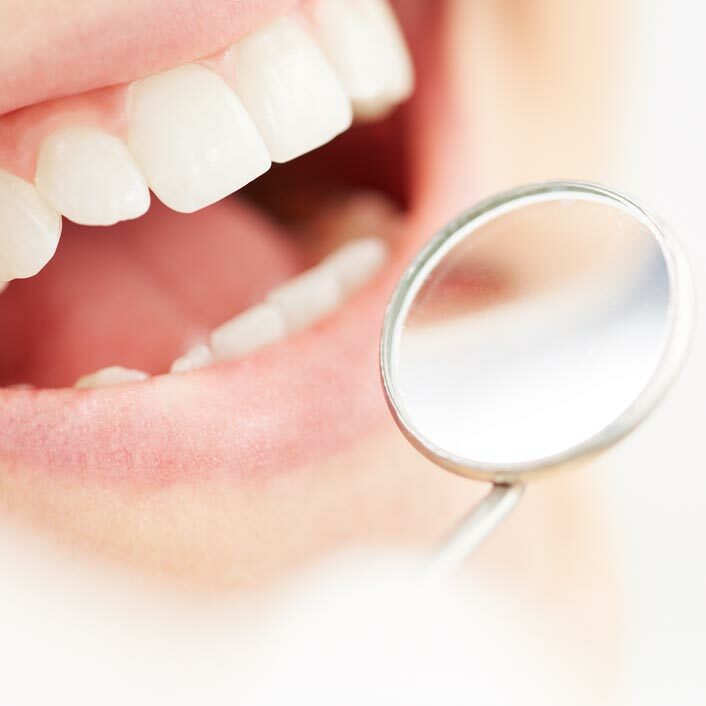 Your dentist will do a thorough visual examination to check for any cracked or decayed teeth. Some dental problems cannot be found during a visual exam and require x-rays to properly diagnose. Your doctor will determine how often you need x-rays. We use digital x-rays to increase patient comfort and reduce radiation exposure. In order to detect the presence or risk of gum (periodontal) disease, your hygienist will measure gingival pockets at each cleaning visit. Healthy gums are the foundation for healthy teeth. Your dental hygienist will then remove plaque and tartar (calculus) buildup and polish your teeth to remove surface stains. Fluoride can be applied to strengthen enamel and prevent cavities. After your cleaning, your doctor and hygienist will provide you with personalized information on how to develop better oral hygiene skills to prevent cavities and periodontal disease.